Houses in the Kensington area. Top-end central London house prices ended 2016 nearly 7% lower compared with a year earlier, a report has found. 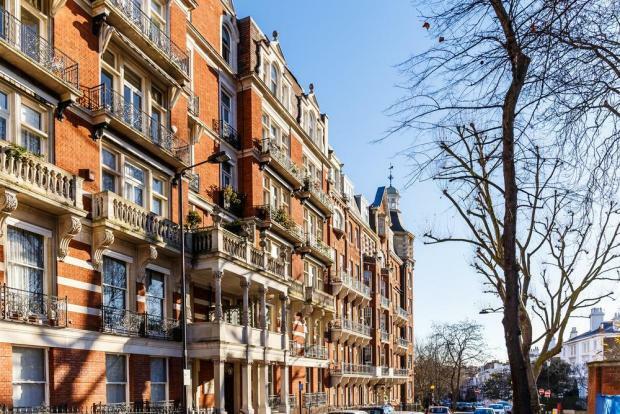 Savills said property prices had fallen by 6.9% year-on-year in prime central London, which includes Kensington, Chelsea, Knightsbridge, Westminster and Notting Hill. Homes in the prime central London price bracket have average values of around £4 million. Changes to the way stamp duty is charged, which have made the tax cheaper for most buyers but more expensive for buyers at the top end of the market, have been blamed for cooling the market in prime central London. And in April 2016, a three percentage point stamp duty hike was also imposed on people buying second homes, such as buy-to-let investors. Economic uncertainty is also thought to be a factor in the price cool down, although there have been suggestions that the Brexit vote may encourage more foreign investors into the market amid falls in sterling. Savills said that lower property values in prime central London did trigger higher levels of buyer activity over the autumn, as prices fell more into line with buyers' expectations. But the activity boost is not expected to lead to prices rising generally there in the near future. Savills' forecasts anticipate zero price growth over the next couple of years in prime central London, with a return to growth from 2019. Prime central London prices are generally down by 12.5% total since reaching a peak in December 2014, the report said. Lucian Cook, Savills UK head of residential research, said: "We saw a real dearth of transactions over the late spring and summer months following the race to beat the new 3% surcharge. "But further price adjustments, coupled with the currency play for international buyers, appear to have triggered greater buyer commitment and prime London sales volumes picked up significantly in September, October and November before easing back in December."